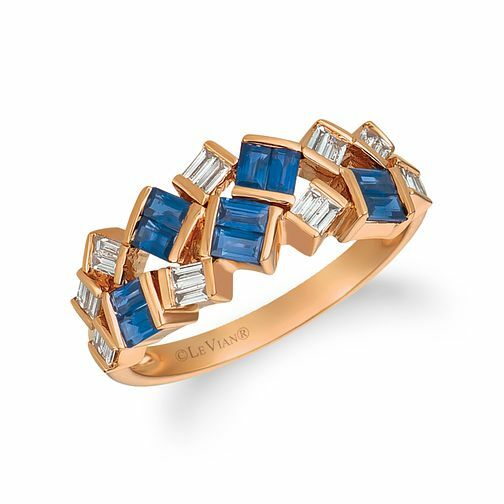 Beautiful blueberry sapphires shine upon this sumptuous 14ct Strawberry Gold ring by Le Vian. In bold baguette cuts, both stunning sapphires and delectable vanilla diamonds are set to glimmer in a quintessentially quirky design. Made with sophistication and style in mind, a marvellously modern ring.